Steam release only four days away. 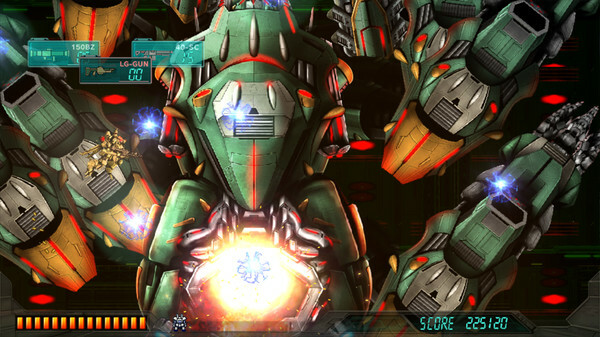 Assault Suit Leynos will launch for PC via Steam on August 30, the game’s Steam page reveals. The retail edition of the PlayStation 4 version will launch on the same day in North America, according to various listings. The game has been out for PlayStation 4 via the PlayStation Store since July 12. Online retailers peg the European retail release for September 9. A classic reawakens – Assault Suit Leynos is back and in high definition! Get ready for all-out robotic war as the fan-favorite Mega Drive classic is reworked with all new HD visuals for the ultimate alien-blasting experience! Fresh HD visuals and sound combine with old-school game design to bring the much-loved Mega Drive classic bang up to date. Jump into an Assault Suit and experience eight stages of side-scrolling alien-blasting action to drive the alien menace back into space! Equip your AS with a huge range of devastating weapons, then complete sub-missions within each stage and unlock even more to use in the next battle. Unlock a huge number of game modifiers to mix up the Arcade Mode gameplay, or try Classic Mode and see if you’ve got what it takes to be an elite AS pilot!